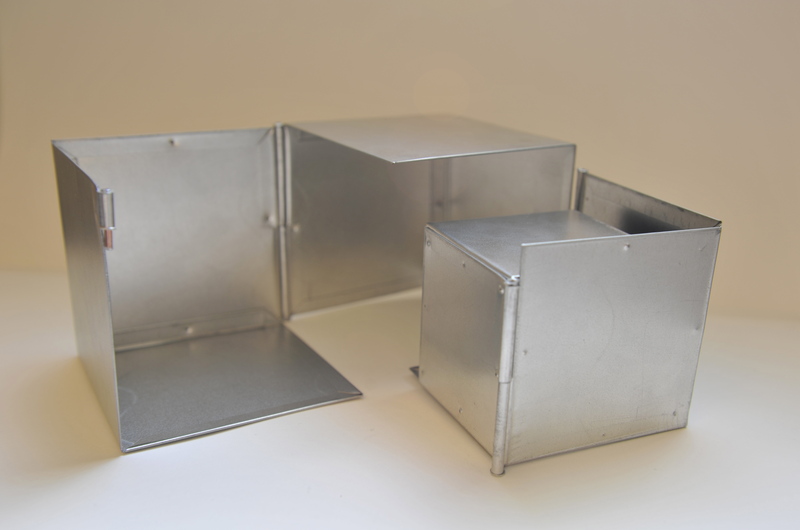 This is the final tin project I did for Metals I. 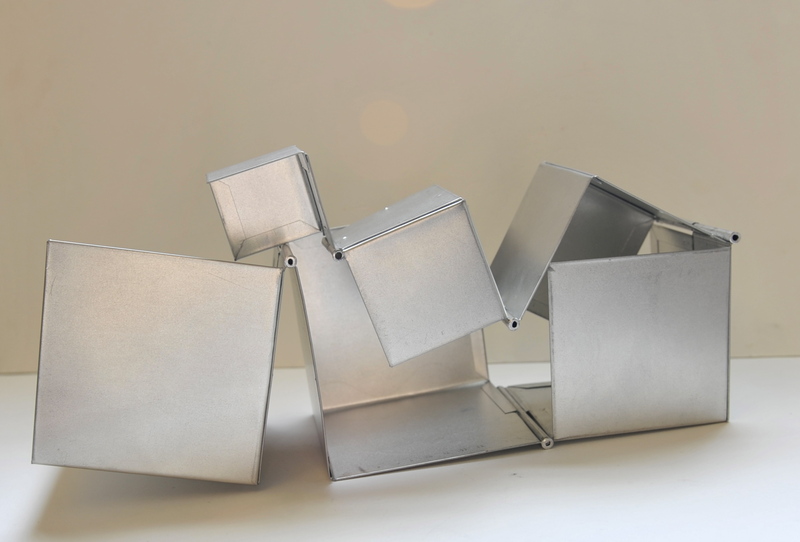 By varying scales, controlling movement and alternating connections, I made a series of half cubes connected with rivets that create multiple structures and shapes. 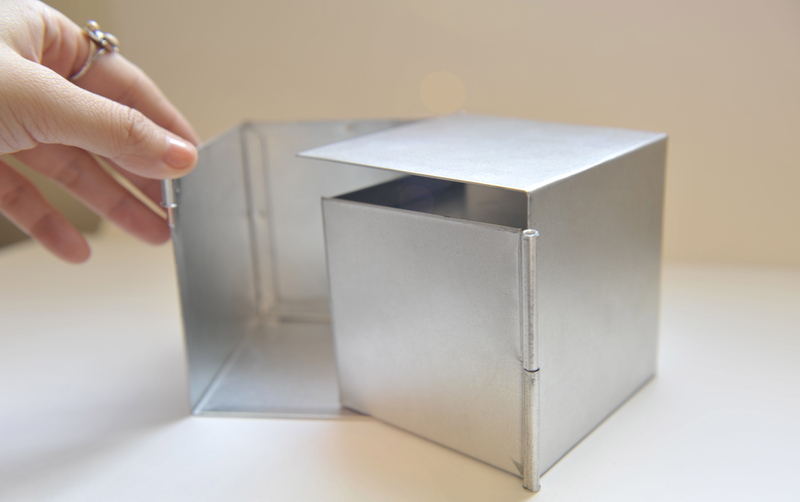 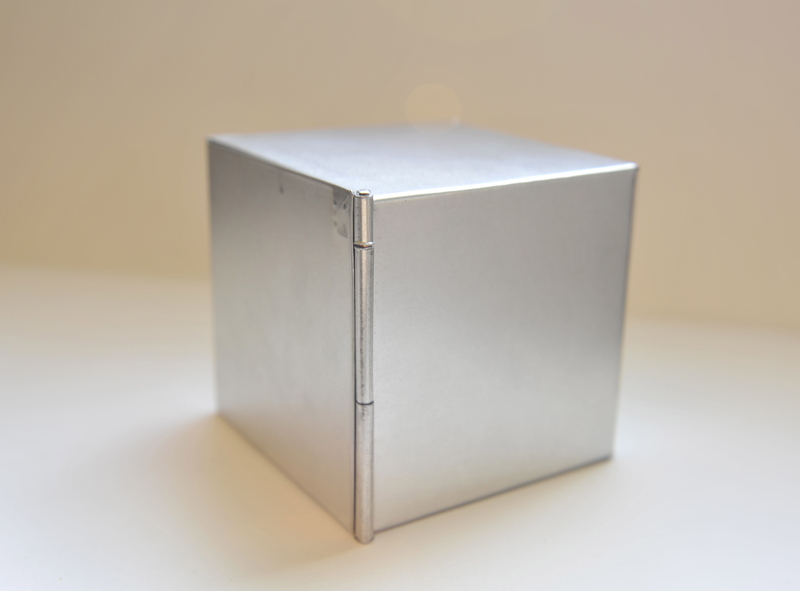 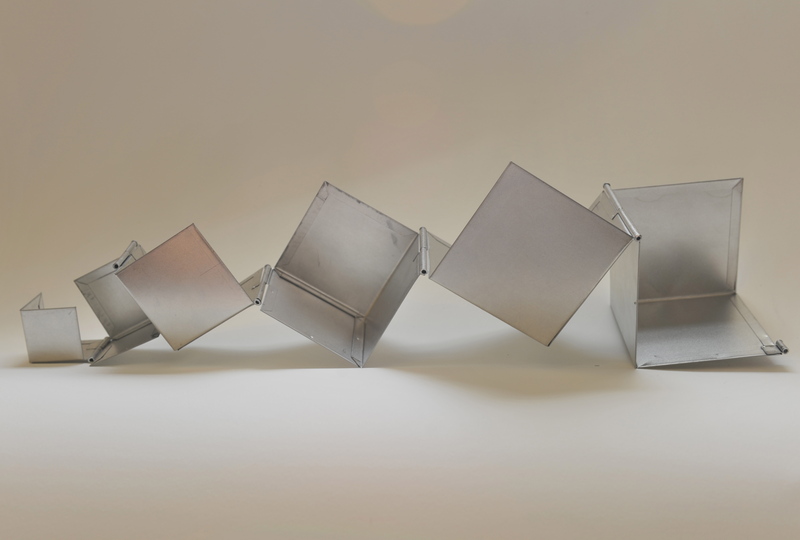 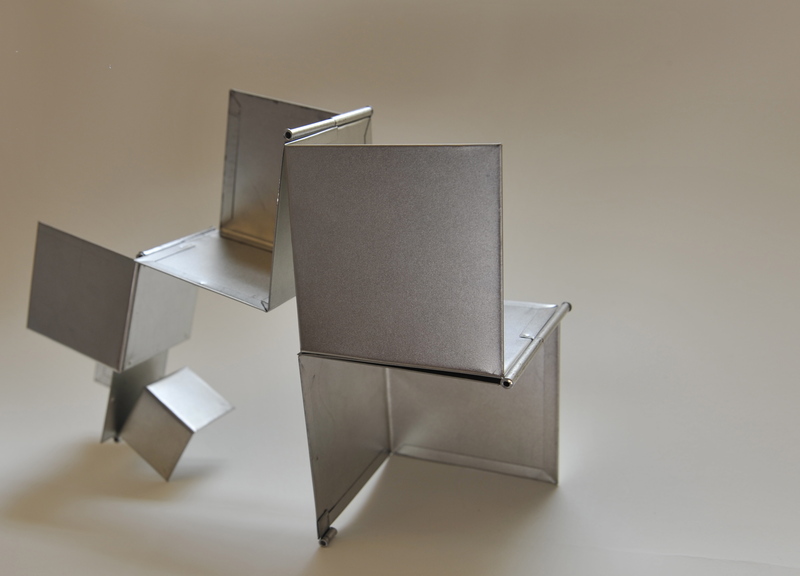 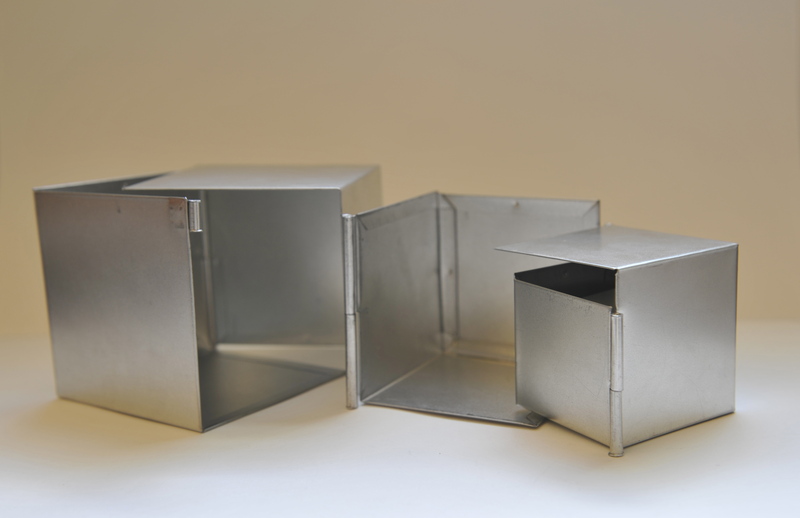 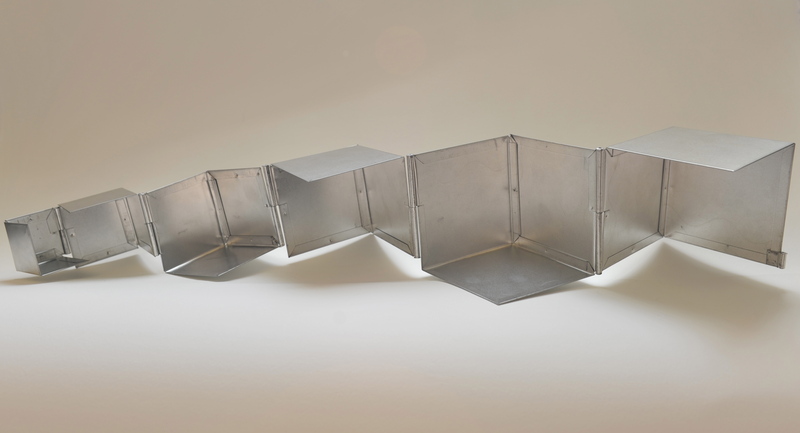 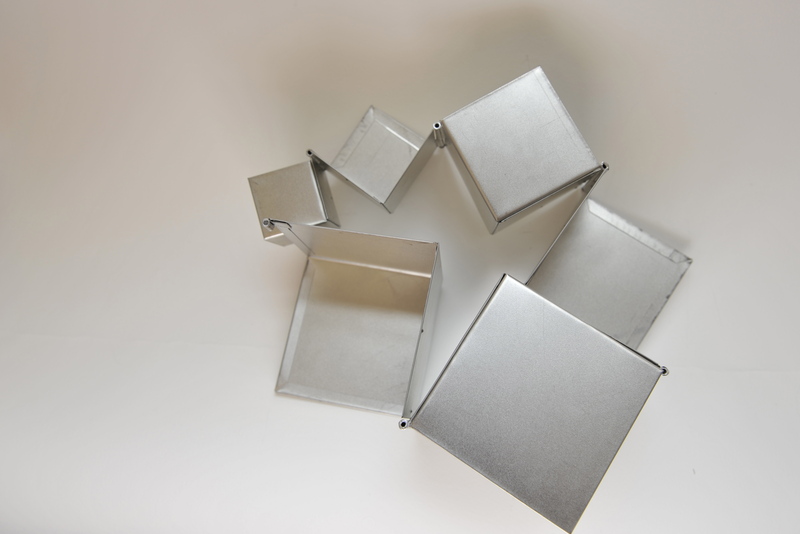 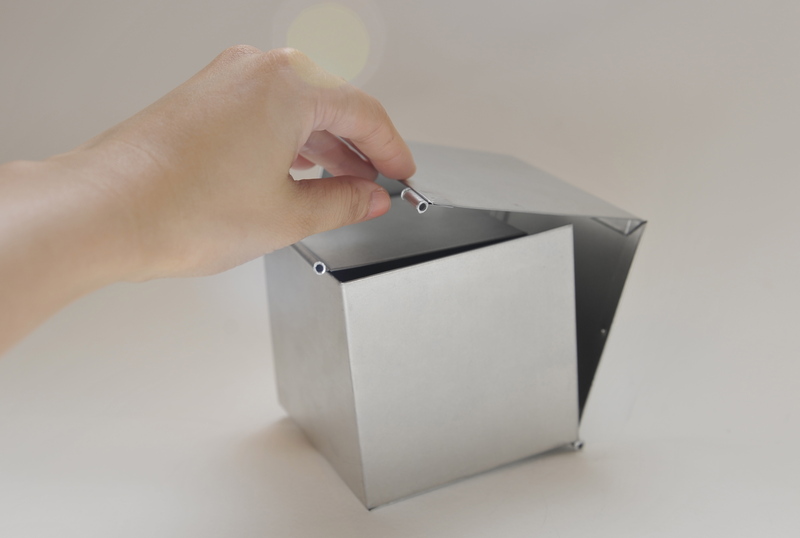 Each half cube was made with two pieces of metal with double folded clip (cold connection), and was connected with other half cubes with hinges with aluminum tubing inside. 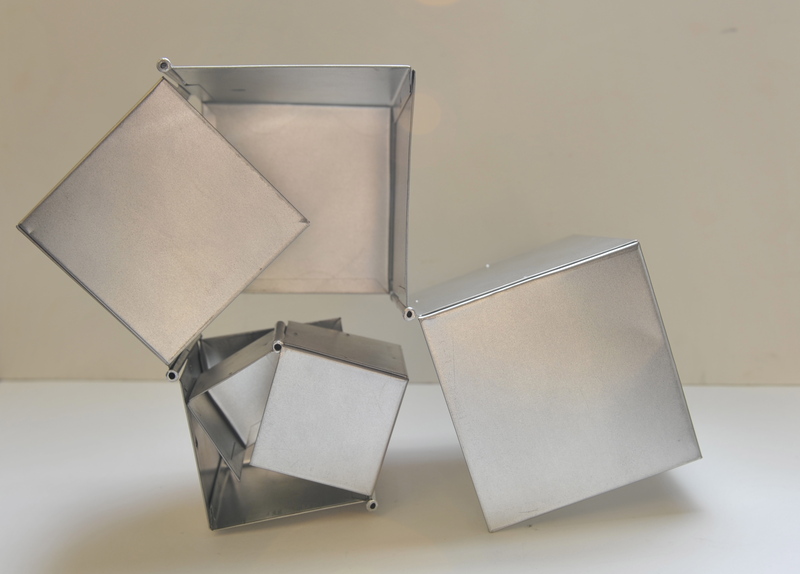 The hinges were carefully placed so that each cube can perfect lay on the next bigger cube, and also be able to move 360 degrees in a controlled way. 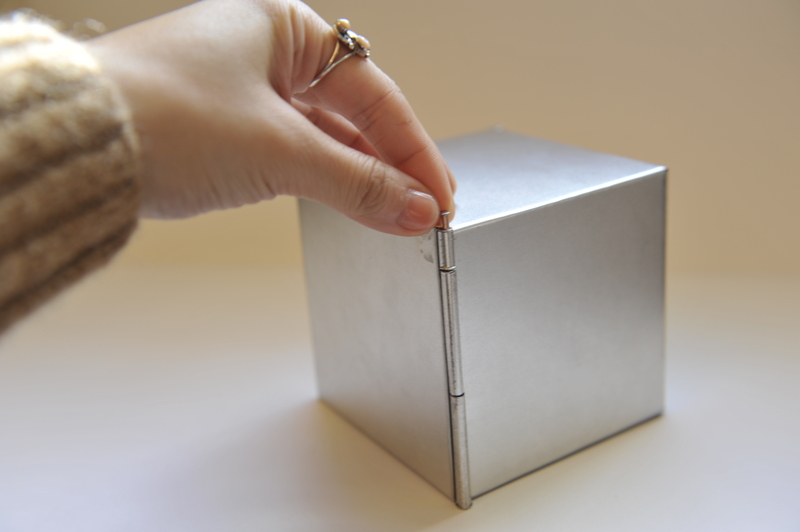 A short piece of copper coated wire works as a hidden lock and the corner of the biggest half cube so this piece can be folded as a 3.5 inch cube perfectly without revealing the interior.